The beloved and quirky Yeti has been officially axed. Skoda’s midsize SUV/crossover has been given the boot in favor of a brand-new proposition called the Skoda Karoq. Skoda says it will fill a different gap in the market and claims it has a different role, but given how much everyone loved the Yeti, it has some big shoes to fill. Now, before even learning anything about the Karoq, we’re going to go out on a limb and say that it won’t be as unique as the Yeti. The Yeti, although not everyone’s cup of tea, was an extraordinary thing. Practical and spacious with a weird shape and decent performance, the small crossover did everything you could have possible asked from it. It managed to do something most crossovers can’t: be interesting. Offering plenty of space and lots of features is one thing, but actually standing out is an entirely different. If there’s one thing the Yeti never lacked, it was certainly character. Sadly, the cult car is no more. The new Karoq follows the full-size Kodiaq Skoda unveiled just a month earlier. 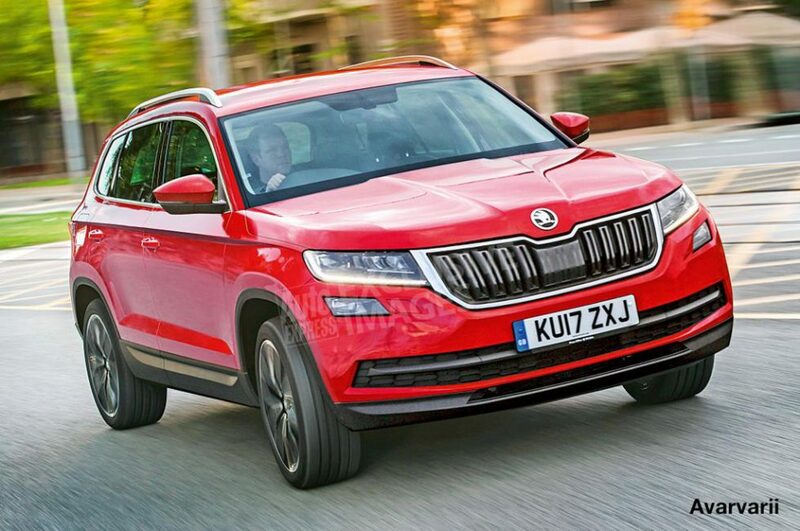 It seems Skoda’s new trend is coming up with names ending on the letter q. Karoq is derived from the native language of Alaska’s indigenous people, or so Skoda claims. We can get past the quirky name, but even from the initial spy photos the Karoq just seems less interesting and lovable. The recipe isn’t as good, and if the stats and figures are to be believed, it won’t be any different than the rest of the current crossover lineup. Based on the MQB platform, you can think of it as a rival to the VW Tiguan and the Seat Ateca. Worst of all is that there won’t be a lot to differentiate the three models. Okay so you get a slightly different exterior design and badging, but underneath, they’re almost certainly going to be completely identical. So it’s a matter of personal preference at that point only. Do you value image and go for the VW or value a good deal and go for the Seat or the Skoda? It will be front-wheel drive in standard guise, with the option to spec an all-wheel drive system at an additional cost. It will get the usual TSI and TDI units, so no surprises there. We’ll wait for the official release before giving the full judgment, but if initial impressions are anything to go by, the Skoda Karoq won’t be nearly as great as the Yeti.